We have heard of Sudharma, a daily Sanskrit newspaper running for over 40 years from Mysore. Now another newspaper Vishvasya Vrittantam (vishvasya vṛittāntam, विश्वस्य वृत्तान्तम्) has appeared on the horizon, started this year from the Sun city Surat (sUrya-pUrataH), it has a little over 200 issues this year as of today. The newspaper is four pages and covers daily news, stories, sudoku, TV listing and even gossip like how age-defying Frieda Pinto (of Slumdog Millionaire fame)! This is the best part of this newspaper. By giving all sorts of news, actually translations of news, it can be an entertaining source of new Sanskrit readings. After all, Sanskrit is a language, and even daily news can be conveyed through it. One may think, why are such efforts needed? I mean, it is not as if, these newspapers are going to actually give you breaking news, that you can stop reading Washington Post, Times of India (well, actually that you can stop reading anyways! ), Jagran or any other newspaper. You will probably already know the news. But, it gives a wonderful way to practice your Sanskrit. After having read the news in your preferred newspaper, reading it again in Sanskrit will help you figure out the words in context! And who knows, slowly, with time, you may even start speaking it. The oldest language is not at all dead! While academic works in Sanskrit have been continuously written even to this year, and Sanskrit authors (new works, current living people, not just Kalidasa and Baan) have been honored with Presidential awards, a daily newspaper is a wonderful way to read the language, understand it in context of latest news. Congratulations to editor DC Bhatt and his entire team for a wonderful job. The content is copyright of the newspaper. 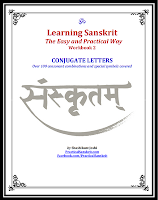 Practical Sanskrit is only providing a way to put it online. Fantastic effort. Pl. keep it up. This is from Samskritham Timeline open Group. We understand that there is an ongoing World Book Fair Exhibition at Bangalore, for which Exhibition, GOI has extended all support. While we thank GOI for the support extended, we once again appeal to GOI : To kindly drop the current proposal to abolish `Sanskrit' and simultaneously 2. 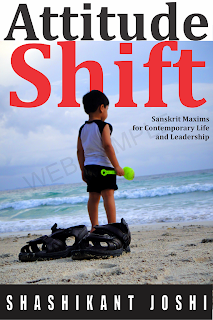 To all viewers/likers to boldly step forward into `Apps - Causes' of my Home page and Samyak kritham (Well done) Samskritham Group and similar other Sanskrit groups to increase the numerical strength of Sanskrit likers, since we feel that there is sign - mellowing of heart with GOI, in this regard. Kindly do share/do permit to share on all Sanskrit/likers' groups pl and spread the message pl. Congratulations on your good efforts for popularising usage of Samskritam through the daily news paper. I am one with you in this effort to advocate Samskritam to be our medium of expression or language. Thank you. Sanskrit is the national language of India, and every effort must be taken to restore back its glory. Is possible to view this paper online everyday.